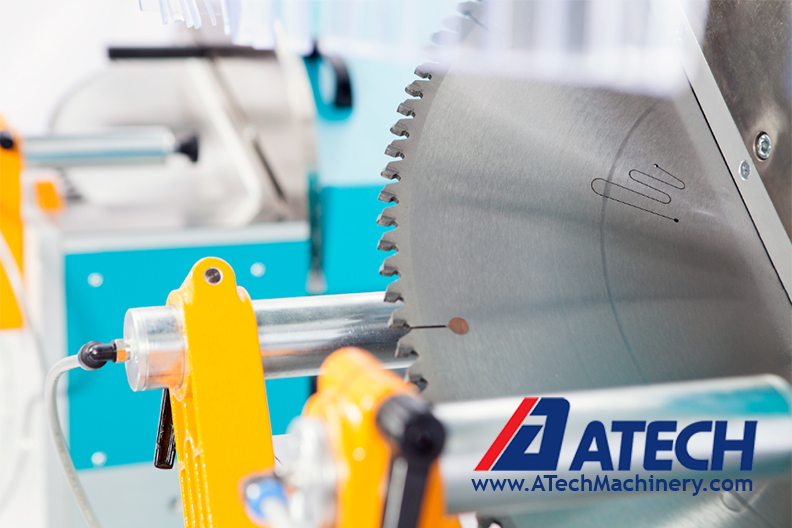 The ATech heavy duty upcut saws are designed for accurate, fast and safe fabrication cutting of wood, aluminum, plastic and non-ferrous metals. The saw blade remains under the table surface inside a safety guard until the cut is made. The saw blade feed is hydro-pneumatic. Our upcut saws are used for both miter and straight cuts. A safety switch positioned inside the top guard makes sure that the cutting operation starts only after the top guard is fully closed. The operator has to press two buttons simultaneously to keep both hands busy during cutting for safety. Our upcut saws come with both horizontal and vertical twin pneumatic clamps, which are activated via switch on the control panel.